The apartment, is facing south, with a beautiful view of our mountains. It has a main living room-kitchen, with bay to the south. 2 bedrooms upstairs, one with double bed, the other with a double loft bed with 1 single beds. The living room couch can occasionally be used as a sleeping place if needed. (BZ). Bathroom-shower and separate toilet downstairs. It is equipped with every comfort (dishwasher, washing machine, microwave, tv, WIFI), terrace with garden furniture and barbecue. Sheets and towels can be taken in optional extra (see in price). Chaillol, St-Léger The Mélèzes, Ancelle and Laye are family resorts, with slopes for all levels of skiing, for snowshoeing, and without forgetting the cross-country site on Bayard. You can now enjoy the indoor heated swimming pool st bonnet 8km. Do not forget the typical gastronomy of our beautiful region, tourtons, ravioles ... that will comfort you after a day full of activities. For more tranquility predict snow tires or and chains. Autumn, season conducive to beautiful walks, far from the crowds, to explore quiet forest trails. The fauna and flora are adorned with their shimmering colors and provide a well-being that will suddenly ressourcerate you. Our beautiful region will welcome you with care so that you can enjoy the maximum of this good air Champsaurin. OPTION IN SUPPLEMENT linens, sheets and towels To ask directly. In winter, provide special equipment (chains and snow tires) for access to the cottage. Le gîte est bien agencé, très bien équipé et très bien situé au coeur du Champsaur. Nous avons passé un bon moment ! Le chalet est parfait pour une famille. Les Chalvet sont très accueillants. Le gîte est idéalement situé, proche de la plupart des lieux touristiques, de Gap et de randonnées. Je le recommande. Mooi en goed verzorgd onderkomen. Helaas geen schaduwplek. Een gaten doek, camouflage net en een kleine parasol die niet kon staan was alle schaduw bij 38 graden Celsius. Dus binnen zitten om wat koelte te vinden en dat is jammer. Grote keien voor het huis op de parkeer gelegenheid. Lastig voor kleine kinderen en oudere mensen. Harde bedden. Alles was verder heel compleet, netjes en schoon. Heel goed ingericht. Ruim huisje en vriendelijke mensen. Veel speelgoed voor kinderen. Das Haus hat uns sehr gut gefallen, alles schön und gut ausgestattet. Sehr nett waren auch die Wirtsleute, die uns zum Haus geleitet haben, da wir nicht hingefunden haben. situation buissard, (05500) town 17 km above gap. 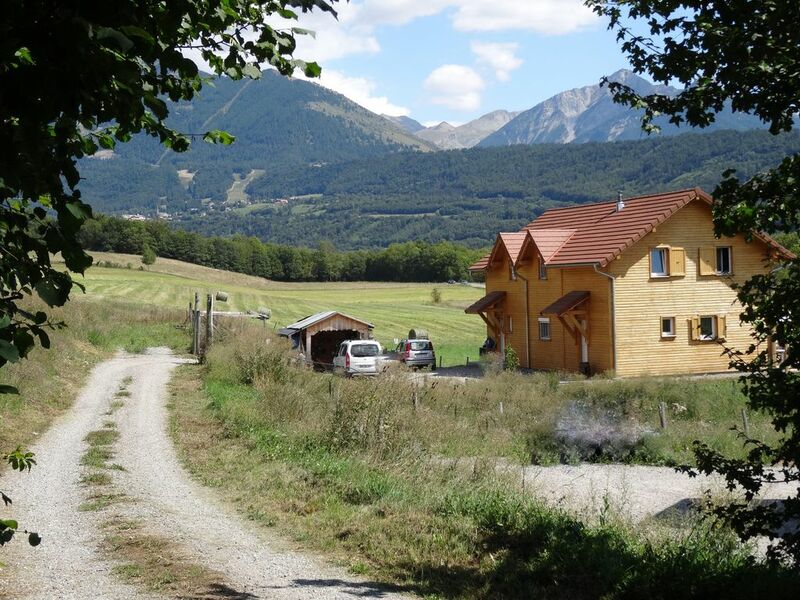 Ideally located, quiet and sunny, the hamlet millers is close to both stations of champsaur and businesses; 8 km st-bonnet champsaur, chaillol, st-light larch, ancelle, 25 minutes of orcières 1850, at 40 minutes of valgaudemar.